Spring is around the corner and our 2019 Tour Schedule is available. We are adding in match play to our regular low net, stroke play competitions. More on that in the future. Rules updates to go along with the USGA’s rules changes have been done. Our returning membership for 2019 is looking great and we always welcome new members. Prospective members please keep reading below the graphics. 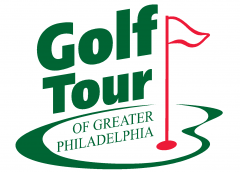 The Golf Tour of Greater Philadelphia (GTGP) is a locally-operated golf league for men and women amateur golfers of all abilities. GTGP runs a full season of events from April to September at various golf courses in Southeastern Pennsylvania, including high-quality venues in Philadelphia, Montgomery, Chester, Bucks, and Delaware counties as well as courses in the Lehigh Valley, Southern New Jersey, Delaware, and Maryland. GTGP is distinguished by the quality and duration of our tour schedule and our unique season-long championship competition, which is modeled after the PGA Tour. Our classification as a non-profit organization keeps costs down, and our club organization ensures that all members have input in club operation. The result is competitive golf in a collegial atmosphere at a great price! Use our web site to read more about the membership benefits, or find answers to frequently asked questions (FAQ). If you don’t find the answer to your questions, please feel free to contact us. If you’re ready to join the tour, you can register online now. We hope to see you on the golf course soon!